The Layton Road Group is a professional firm that offers solutions from marketing research and intelligence to capital introduction, placement agent services, and sample services. 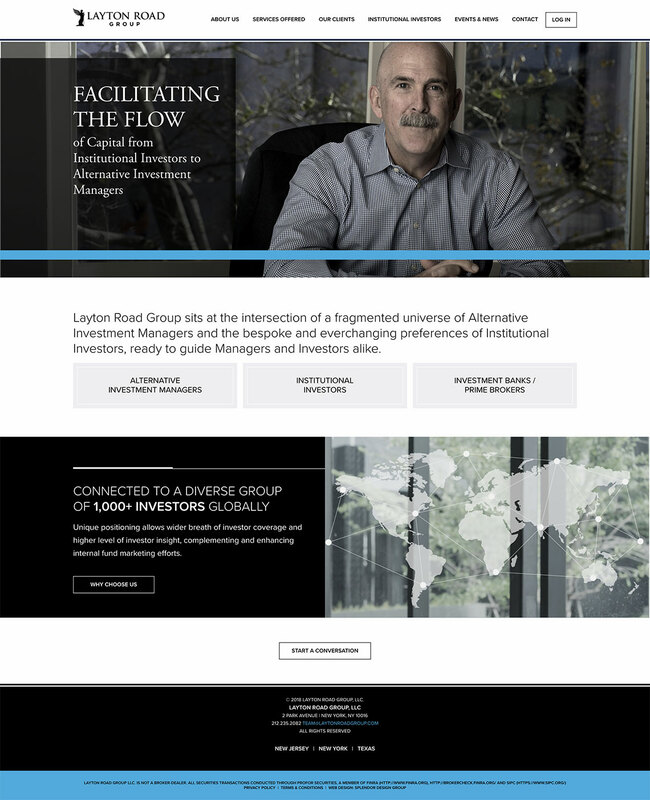 Each service is tailored to each clients’ budget and needs and with a highly competitive industry, Layton Road Group needed to properly communicate their different approach and offerings through their website to potential investors and managers. Our solution was a modern, clean design paired with large full-width imagery and accents of blue. From highlighting their services to implementing an events calendar, we made sure to set the firm up for success. The site also has login capabilities for clients and pages geared specifically to each client.